“The World Famous” WDRE/WLIR was one suburban New York’s greatest treasures until its sale to the predecessors of Univision in 2003. The station at one time was home base for a syndicated Modern Rock format known as “The Underground Network” and was heard in such cities as Albany, Little Rock, and Philadelphia. By 1997, the station had returned to its heritage WLIR call letters and settled in somewhere between Alternative Rock and Modern AC. The on-air personality in this aircheck was destined for greater things as well. Lynda Lopez, here as a weekend host, would later go on to become a featured personality at many New York radio and television stations including mornings at the infamous “Blink 102.7” incarnation of WNEW. Media success runs in her bloodline, as her sister Jennifer’s music has been heard on quite a few of the stations featured on this site. 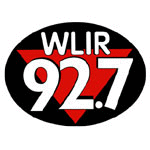 Apparently WLIR is now an online exclusive station, much like Fresh 106.